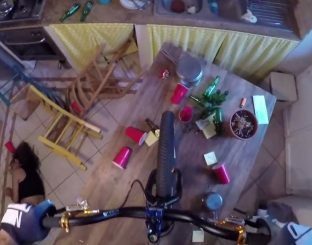 In Chambéry, the rider french Léo Nobile made the mountain bike Trial through an apartment a day after party. After entering through a window, the rider must pass over drunk people lying on the ground among the empty bottles while a few diehard partiers continue to dance. 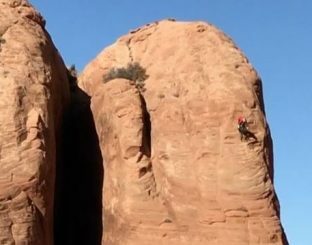 In the desert of Moab, the VTTiste Kyle Mears descends an ultra steep bike. 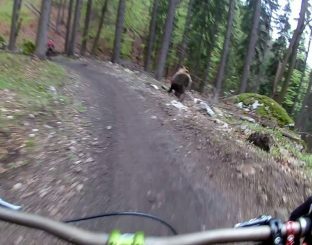 On his Orbea Rallon ATV, Kyle Mears is almost vertically on the slope of a rock over 30m high.